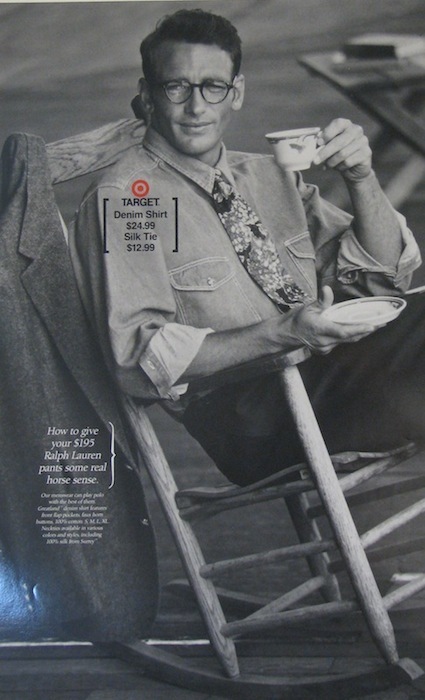 The 1980’s discount retail landscape was packed with affordable basics and casual wear, but Target realized this was a sea of sameness. 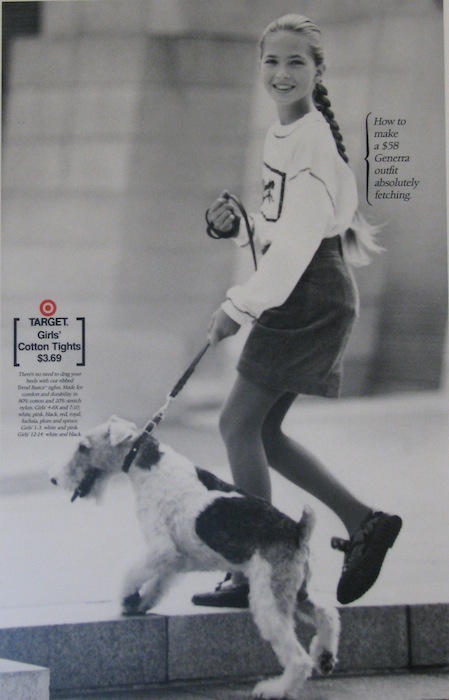 Target didn’t want to just fit in – Target wanted to stand out. 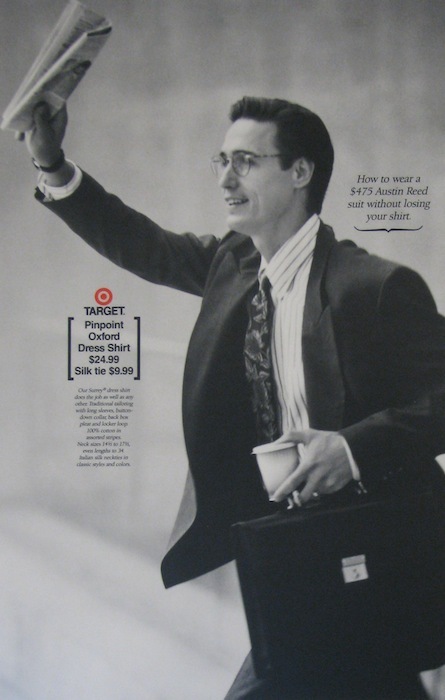 In 1987, Target decided to change strategy and become a store where people wanted to shop and experience – not just a store on sale filled with big brands and low prices. 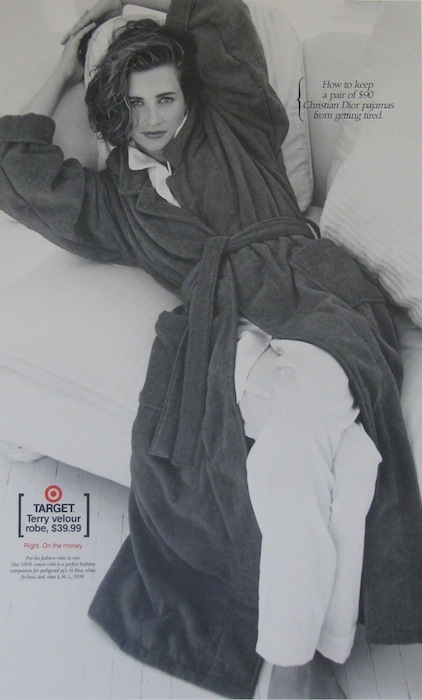 Before Target established the cred to offer up luxury design talents like Missoni, Jason Wu and Zac Posen, Target built a foundation on designing basics beautifully. Wardrobe staples like crisp white tees, stirrup pants (oh yes, we had about ten pairs), cardigans and dress shirts complemented designer clothing already in guests’ closets. Target began to earn guests’ trust as the go-to spot for on-trend closet essentials with great fit, color, style, quality and price. 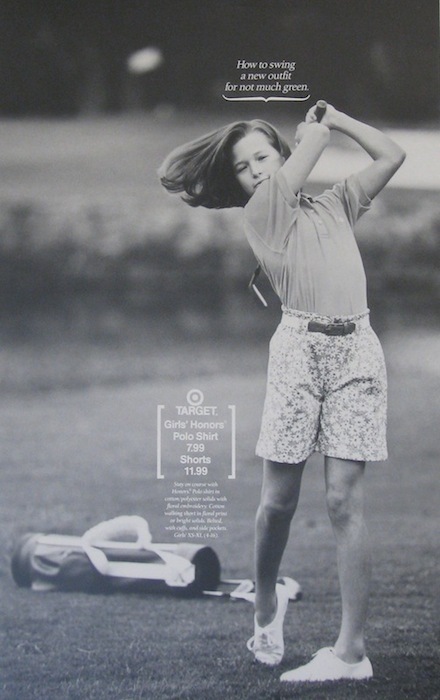 Over time, Target earned its high style reputation. 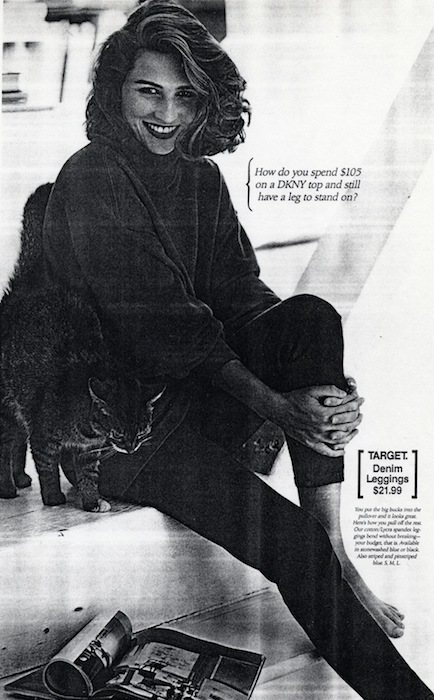 The historic What to Wear campaign from 1990 to 1992 was Target’s first step to epitomize both high style and high-low fashion, offering styling tips and explaining how to “trade into Target” by pairing affordable finds with designer wear – like a terry robe over Christian Dior silk pajamas, an Oxford dress shirt under an Austin Reed suit or a hooded sweater on top of a Maxima suede skirt. 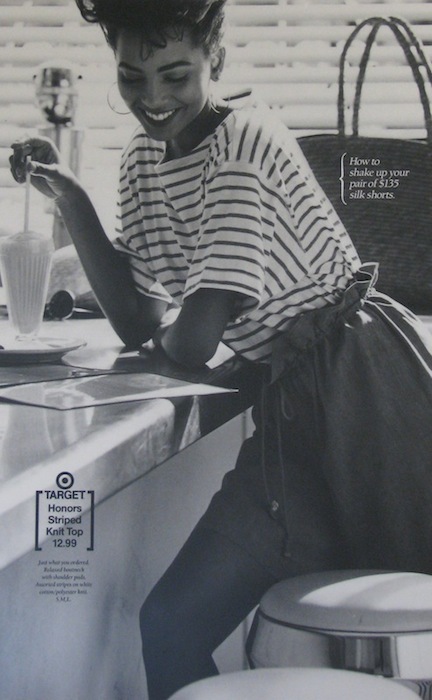 What we love most (besides the big hair, of course) is the timelessness and simplicity of the black-and-white ads themselves. 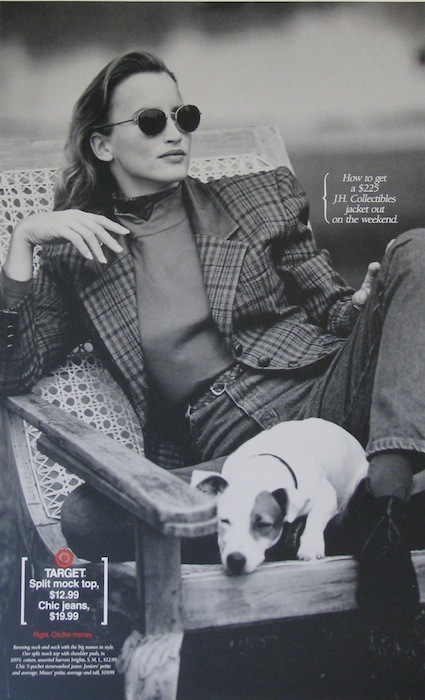 Each iconic ad inspires our own closet creativity with realistic styling advice on what to wear where. 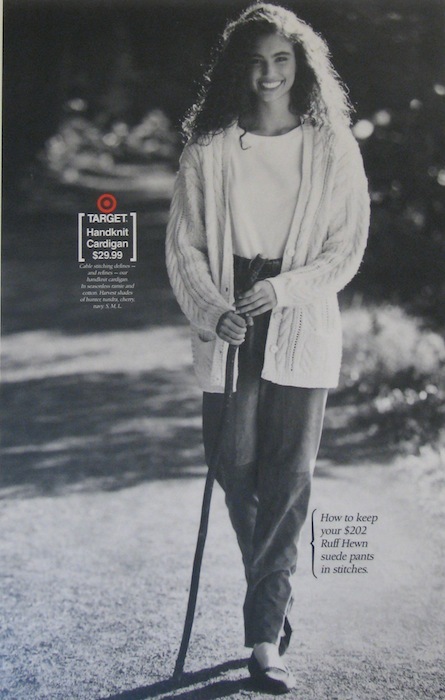 The campaign creativity and practicality catapulted Target into the design spotlight. 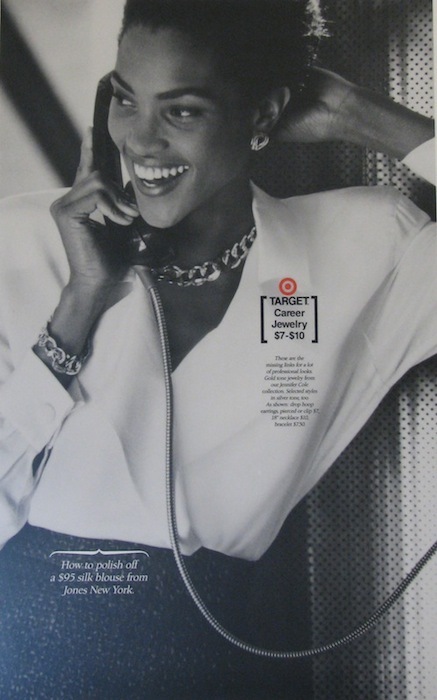 By pronouncing such design prowess, Target shifted industry and consumer perceptions of discount retailers and became the mass-market retailer trailblazer for exquisite quality and design. 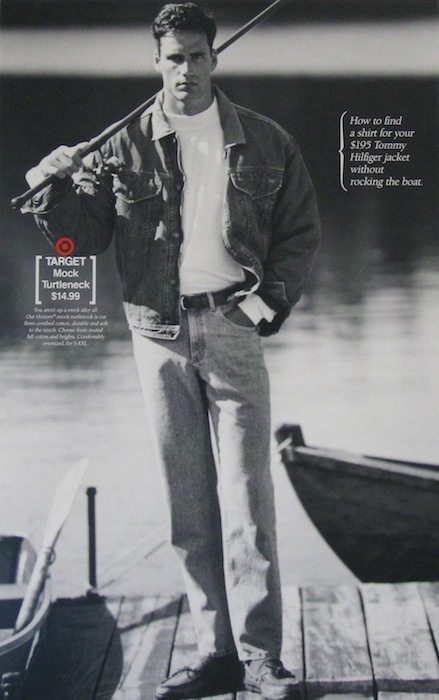 Take a trip through historic ads below!